Clean energy and competitive rates. Electric Generation: This pays for your source of power and how much electricity you’re using. Rates vary, depending on the type of service you choose: SVCE GreenStart, SVCE GreenPrime or PG&E. Click here to view our small, medium, large and industrial commercial rates, and how our prices compare to PG&E’s generation rates. Electric Delivery: PG&E still delivers your electricity on existing lines and maintains those lines. PG&E delivery rates are the same for everyone, both SVCE customers and PG&E customers. PG&E does add additional fees to your bill and those are always included in the cost comparisons below. You’ll find a full explanation of all the items on your bill in Understanding Your Bill. Electric generation rates are set by SVCE’s Board of Directors, a group of elected officials from each of the participating communities. The Board seeks community input before rate changes go into effect. Customers enrolled with SVCE remain eligible for PG&E energy efficiency rebate and incentive programs. For more on energy efficiency rebates and incentive, visit the PG&E program webpages. With the exception of Peak Day Pricing, commercial customers remain eligible to participate in most existing PG&E and third-party Demand Response programs that offer incentives for reducing demand during critical peak time periods. Click here to learn about SVCE’s Peak Day Pricing Transition Program. SVCE offers an attractive Net Energy Metering (NEM) program for businesses with solar panels or other forms of onsite generation. 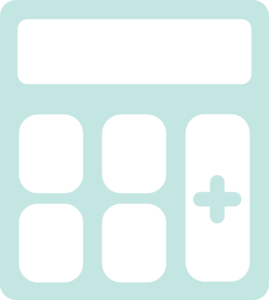 You can compare your SVCE costs with PG&E by downloading our cost comparison calculator. If you have your bill handy, use the rate schedule and kilowatt hour (kWh) information on your bill to calculate your new electricity costs.